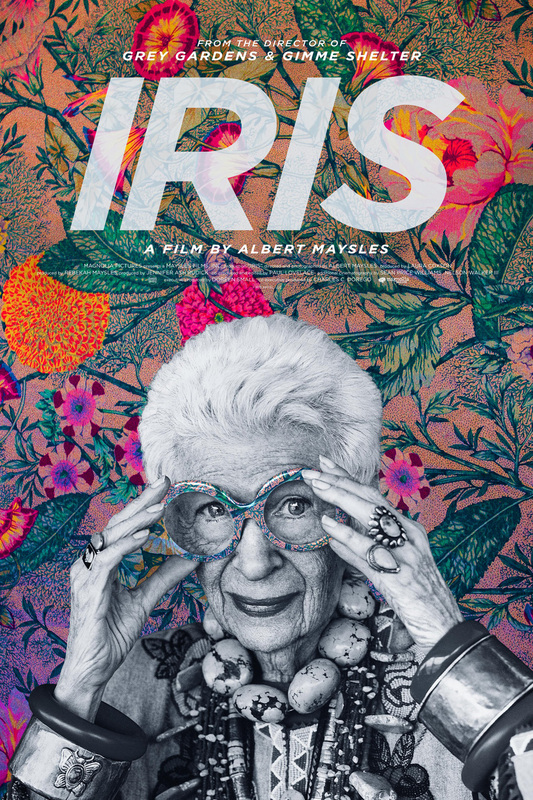 I left the screening of the documentary, "Iris" (directed by the late Albert Maysles) with mixed feelings. Mrs. Apfel is a direct, charming, iron-fist-in-heavily-embroidered-velvet-glove, blessed with a fearless and diverse talent for adornment. She owns a staggering amount of clothing and accessories, and is shown acquiring ever more, even as she tours a storage facility and murmurs, "I must do something about this." Buying more and more is a way of denying our mortality, and I am not referring only to octogenarians like Apfel. If there is always more to chase, acquire, and cram into already overflowing homes, we can pretend there is also always more time. It's as if the possessions were magical talismans, promising an endless path strewn with baubles. Around the same time, I watched an episode of "Hoarders"; the differentiating characteristics between the two inveterate collectors were price point and public acceptance of the habit. The Apfel's apartment, cluttered with permanent holiday decor and stuffed animals, was uncannily like one "Hoarders" woman's, but the Apfels have a doorman. Should you find that future compelling, Kondo prescribes several clear steps: Beginning with clothes (but eventually dealing with everything), reduce your number of belongings, keeping only things that "spark joy". Divest everything not fulfilling the criterion, and devise a specific storage place for what is left. There is more; she is a master of folding; if you adopt her methods, you will feel as if you live at Muji. But what about the chipped mug that your roommates gave you that summer you waitressed at a resort hotel? Your friend's Manolos that didn't fit her, so she gave them to you, except they don't fit you either, but you loved her gesture? Before they leave, photograph these objects and slip a print into your journal or add the shots to your screensavers. I wondered, gifted with an eclectic eye like Iris Apfel's, does one inevitably become a magpie? ("More is more, and less is a bore", she says.) Could you deck yourself in enough jewelry to stock a shop, then throw on a '70s couture brocade coat and a big fur vest—and move around in comfort for a full day? She is remarkable, and knows it. For the rest of us, Iris advises, "If your hair is done properly and you're wearing good shoes, you can get away with anything." Your second paragraph describes my dad, and he left a heck of a mess for my mother and brothers to deal with. (I was living 2,000 miles away and wasn't much help. )The saving grace was that some of his collections, and one in particular, brought a great deal of money at auction. Still, there was a lot of dross surrounding and covering up the gold. To me that's the worst thing about clutter and overcrowded rooms. The beautiful and the valuable things are obscured and overlooked. Dresden figurine is not grandma. I may enjoy looking at an old book that belonged to my father but I do not need his entire library. My vote would be Kondo, a vote for less. I think many of us, as we get older (I'm 63), really do desire to own fewer things and we do something to make that happen. I've been going through my closet getting rid of things for several years now, but still have a way to go. Reading various blogs and books has helped me hone in on what should stay and what should go. And TODAY is one of those closet culling days. I donate some items, but take the better ones to a local resale shop. Household items are getting the same treatment, but all are donated. While I have never been a hoarder or very acquisitive, items do seem to accumulate. I am MUCH happier with fewer possessions. The most troublesome are items (think antique brass oil lamps with ruffled cranberry glass shades) which belonged to my mother and were give (foisted) on me. Since my mother is alive, it is somewhat awkward to get rid of them. Any advice welcome! Mme: I love this metaphor about leaving one's room in order. And sometimes Grandma's thimble is wise to keep, as it takes up little room, while Grandma's dresser is not. 1. Her persistence, my assertiveness: She'd just keep trying; I'd have to say, "Remember, I took two floor lamps last year. I really appreciate those, but I have no room for the twin beds and dresser." The things you do accept, make sure she sees when she visits and tell her how special they are to you. Now, when I do the same thing with my kids, I begin by saying, "IF you would like this... and no obligation." Another thing is, they foist because it's easy. No dealing with antique dealers, no stress, no finding movers to take the thing somewhere. Duchesse, I have been using the very techniques you suggest and they do work for the most part. She has given me some things that I do love (a wonderful large antique pewter pitcher with a lid which is wonderful for flower arrangements.) i will make sure that I point it out to her as it is always on view in our family room. The ornate brass oil lamps with ruffled shades are perched on top of a piece of furniture in our bedroom (very bad place but at least out of view to most visitors). I have offered them to EVERY relative I can think of--with no takers. I will next take photos and show them to antique dealers to see if they will take them off my hands. Susan: Always kind of a mystery what antique stores will take. You might also try that kind of in-between enterprise, the "furniture and housewares" consignment store. I also offered various good things to her friends, who genuinely wanted them as a memento. For all that I still have several boxes of silver in storage. Several years after my husband died, I decided to do some renovations and so a major purge began. It was exhausting in many ways. Making decisions about things that have feelings attached to them is so difficult. My Dad went through the same thing when he left his house as my parents had done nothing to de-clutter or reduce so we had to deal with the accumulation of decades. Now I try not to add to my 'stuff'...yet my house is not exactly empty. More purging will be done this winter. I feel that things which aren't used or wanted are somehow dead and I'm happy to move them on to a new life, whether by donation or leaving it at the curb for whoever wants it - a great Toronto tradition. Over the years I've found I miss very little of what has gone, many times I don't even remember I had it. I understand the urge to collect, if there is something you love, but I also increasingly feel that excess simply dulls the mind and the pleasure in the things themselves, at least for me. I have cut back many things, and am in a continuing process of eliminating things, I suppose Marie Kondo style. At the same time, more comes in, things my mother has passed on, which my siblings and I agreed to take, mostly because despite the fact that she had moved to a smaller house, she refused to sell the older larger one until we all took things. I am still in the process of culling. The major rejects are gone, and now begins the delicate dance of "what wild mom notice or miss when she is here" combined with "what really is meaningful to me". It is a dance that will probably continue for some time. Glad someone's writing this "out loud" -- once again, we're so intent on celebrating "visible" older women, that we tend not to look at the implications of the visibility -- in Apfel's case, a celebration of acquisition and a dependence on material possessions. Personally, I've been culling and culling, steadily, ever since my mother died and I really saw what my children will someday have to face. Mine, so far, are all urban kids in much smaller square footage than I've had the luxury of. And for at least two of them, this was probably always be the case. They aren't going to have room for, never mind want, my stuff. As well, I see how much easier life can be without too much. And how, even if it isn't easier in some respects, without the stuff, one is forced to find compensations other than the material -- and those are almost always compensations that satisfy more deeply. . . I cull, I acquire, I cull, I acquire, but really not that much of either. I hate clutter so much that I'm not a collector, but I also hate throwing away beloved items, even they spark sorrow;). I'm OK with the sorrows and wistfulness of life. Don't enjoy them, perhaps, but don't really want to throw them away. My mom, now in her early 80s, has slowed down her acquisition but not stopped it. My dad has done some culling, but they still have a large house full of stuff. It is nice, well-organized stuff, but still. If all goes well, they are talking about downsizing in a couple of years - when I commented that this gives them time to downsize their collections, my mom said "that's your problem." Having helped clear out my in-laws house, those words strike fear in my heart! The 3 stages you describe with your mom make me smile, Duchesse, but they sound like the likely way forward for me with my parents. Meanwhile, I am trying to convince my husband that we need to reduce our stuff so our kids aren't stuck with it. Sometimes it's hard to find s happy medium, but I'm trying. I am on the minimalist side for most everything in our home...my closet, clothes, and general "stuff" as we live in a small bungalow we have very little storage. I really dislike clutter and find it actually stresses me to see too many things. Iris sounds like an interesting gal...I must try to see that documentary as she must be a rather fascinating personality. 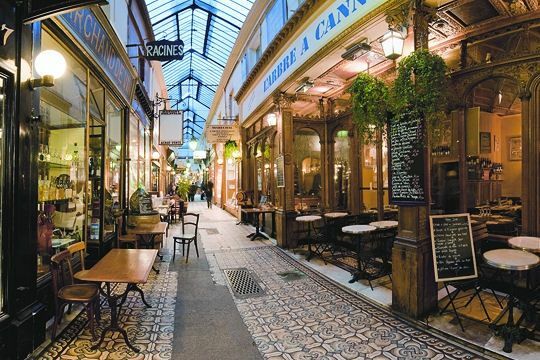 I have several friends who are serious collectors and they shop shop shop...their hobby is shopping and acquisition. Interesting to me is that they are childless and have no family left. I wonder if they are filling up a void? I am not judging...we are all different. While I am no shopper and we do our best to purge, I sort of dig folks like, Iris. She is walking history and has collected serious history. It's not just useless stuff, but stuff from far flung lands. Don't get me wrong I would not want to be the person who has to sort through everything they have, but I can appreciate that they lead a much different life than mine own. Marie Kondo falls under the opposite extreme for me, but again, lots of folks seem enamored of her and I guess if it helps those who have struggled, then hooray! LauraH: "The accumulation of decades" is an apt phrase. That is desirable to a subset, but mostly as I read these comments, a burden on heirs. Mardel: re "She refused until we all took things"- same with my mother, but I hope to break that cycle. A tour of antique or resale stores in any locale shows that not all family possessions are retained by the next generation. mater: I sheepishly confess to having a small storage unit for a few family heirlooms my children do not yet have room to accommodate, but have spoken for- as well as boxes of required business records. But the moths wrecked the antique rugs and we were able to go to a very small unit. Still, that bugs me. LPC: I am for keeping sentimental objects! Those would even be permitted in the Kondo world. She says "Keep what delights" but I would enlarge that to the LPC Principle, "Keep what evokes." However, I did get rid of things like several hundred cookie cutters and my Who Final Tour (OK, they did abut a dozen of those) t-shirt. Murphy: I shall quote my sister's response to being told "that's your problem": "OK Mom, we'll just put it on the $10 table." hostess: I think whether one is "minimilist" is an extremely relative term, and there is no standard. But I would say that you are not quite where Kondo is, nor would everyone want to be. I especially enjoy shopping with people who are still acquiring specific things they will love and use; they take it home and I have the pleasure of the hunt! MissFifi: Iris Apfel has many fans, including influential curators and style writers. I In the film, when she showed old photos of herself from the '60s, she was surprisingly conservatively chic-she dressed like Jackie Kennedy. So there seemed to be an evolution toward risk and ever more ornamentation. Today, it appears that she does not know, fully, what she has (at least in the film). That could be a function of age, or simply how much there is. I definitely lean toward the Kondo end of the spectrum, at least ideologically. In practice...still a work in progress. Kondo's absolutist methods ("do it all at once!" "fold everything in drawers!" "no organizers!") are a bit off-putting, but I'm gradually refining and reducing the closet inventory. As to the rest of the house...as it's not mine alone and there's not a consensus as to what must go, that will have to wait. This weekend I hope to tackle the years of accumulated and now mostly unworn costume jewelry. 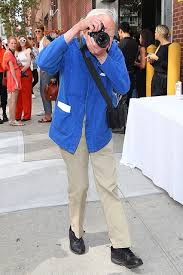 Re: Iris Apfel, I appreciate her artistry and what she has been able to do as far as creating a unique look for herself, and she truly does seem to enjoy her "stuff." Would make me crazy, but she'd probably find my style boring as hell. Pseu: That would be a fun post, to see what stays and what goes in your jewelry collection. I Kondo'd my lingerie drawer and must say those little rolled undies are cute and comforting. I cannot abide clutter and mess, so I tend to the less-is-more end of the spectrum though I'm not at all extreme. I enjoyed Kondo's book but felt she was looking through the wrong end of the telescope a bit - she essentially says 'make a neat row and if something will not fit, throw it out'. I prefer to try to contrive a way to make it fit neatly somewhere. The thing that transformed my clothes storage was buying a folding template. So fab! 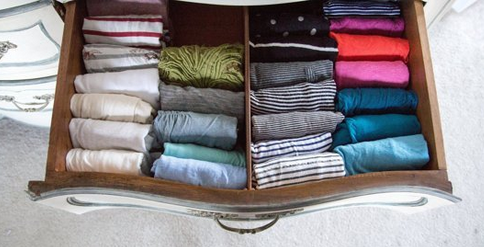 T-shirts, sweaters, scarves - they are all exactly the same size now when folded and stack or fill a drawer beautifully. Jane: A folding template would be an unusual gift for the right person! From my reading, Kondo works from both ends: keep only what gives delight, but also, limit possessions. (I can easily buy delightful things, even at a Goodwill (oh, look, a nice flowepot!) and she has firmed my resolve to let them be beautiful... elsewhere. Like you, I take a definite pleasure in a neat drawer. I have to avert my eyes from Le Duc's, he's a jumbler. My "hoard" is really resources: the raw materials for my creativity. 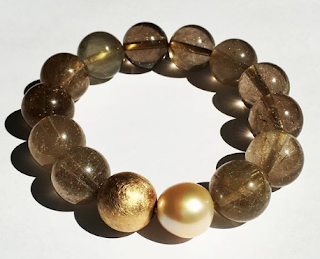 Whether that's adornment of my person (I still have and wear jewelry and scarves from the 1980s through last week) or fuel for my hobbies (sewing and knitting), I have found that the things I want to keep will eventually make their way into my daily life. As for organizing, I am not a natural organizer and so I follow a short list of principles: 1. Where would I look for this if I needed it? That's where I store it. 2. It should be easier to put things away than to get them out (so anything that doesn't go on a hanger gets tossed in a drawer without folding or organizing by color or any such thing-only exception, underwire bras which are folded and stacked in a single drawer-organizer box). 3. Multiples can make life easier: there's a pair of scissors, tape, notebook, and writing utensils in almost every room of the house so nobody walks around asking where they are and then failing to return them. Where I excel is maintenance that extends useful life. I never do laundry without resewing a loose button on something. I polish my shoes weekly. I spot-clean and air clothes out rather than frequent washing or drycleaning. It's lovely that we can each choose different ways to make the stuff in our lives work for us instead of us working for the stuff. What is the silver pattern that you kept? I can provide a lovely home for silver. I spent the weekend at a home where the hostess had simplified by a Konmari method. It was a lovely, serene and peaceful place just suited to the two meditators who lived there. I think my place is hopeless. Doing it 'all at once' will take at least two years. My departure plan is to tell the kids to take what they want and hire an auctioneer. diverchic: The silverware pattern is called Tea Rose; I will keep it because it's what was on the table when I grew up (and better quality than what I use now). I am slowly working it in as my cutlery deteriorates. What's in storage is large platters for big roasts: beef, full hams, racks of lamb, etc. Not a natural fit in your lovely home, you saucy little vegetarian!